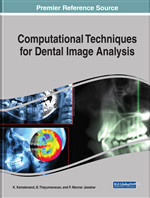 This chapter introduces the recent trend in 3D printing (3DP) in dentistry. The advantage and disadvantages of 3DP are discussed. It elaborates on different types of 3DP techniques involved and their significance. The chapter further discuss about the biomaterial used. It also describes the complete steps involved in 3DP such as image acquisition, modeling, segmentation, and printing techniques. The merits and demerits of the different methodologies pertaining to steps involved in 3DP are illustrated. Rapid prototyping in dental implants is discussed in detail. It ends with review of a case study in implementing the technique. The dental prosthesis fabrication includes many of manual laboratory processes and the quality of restorations depends on the dentists and dental technician’s skill and expertise. The dental restoration is also a very individual and complex process. Computer aided manufacturing (CAM) is methodology is introduced to overcome the disadvantage in manual process. Introducing CAM for the processing procedure will highly rise the manufactured quality of dental restorations. The manufacturing process includes: data acquisition, data processing and model fabrication (Nayar, Bhuminathan, & Bhat, 2015). The first step often used towards 3d printing involves, Computer Tomography scan with field of view within twenty cm, the slice thickness usually selected is slightly more than one cm (equal to scan spacing) and the gantry tilt of zero degree is set. During the whole procedure the patients are not allowed to move and the occlusal planes are set parallel to the gantry. The whole arrangement helps in reducing the artefacts in the anatomic model. The acquired images are stored in DICOM file format. The open source 3D imaging software is used to process CT DICOM images. The commonly used software version is Vesalius 3.0.0 version. The bone mask is created using the tool for mask creation in Hounsfield unit range. The 3D surfaces are crated using the bone mask as reference. Finally, the data is transferred in stereolithography (STL) file. The process takes few minutes depending the CPU configuration. The Autodesk Meshmixer 2.9.1 version is used for editing STL file. The selection/analysis tools are used to isolate and repair the mandible. Further the compatible model for printing is produced by transforming the complex geometry of the bone. Finally mesh of the mandible is prepared for the slicing using open source Matter Control and printing is performed using the ROBO 3D R1 with 1.75mm polylactid acid filament. Stereolithography: Stereolithography is a process for making models and parts in which a solid is built up a layer at a time by hardening parts of a container of resin using light. In stereolithography, parts are produced by successive solidification of thin resin layers using a UV laser beam. Selective Laser Sintering: It is an additive manufacturing (AM) technique that uses a laser as the power source to sinter powdered material (typically nylon/polyamide), aiming the laser automatically at points in space defined by a 3D model, binding the material together to create a solid structure. Prosthesis: An artificial body part, such as a limb, a heart, or a dental implant. Fused Deposition Modeling (FDM): It is an additive manufacturing (AM) technology commonly used for modeling, prototyping, and production. It is one of the techniques used for 3D printing. Thus, FDM is also known as a solid-based AM technology. Implantology: A dental implant (also known as an endosseous implant or fixture) is a surgical component that interfaces with the bone of the jaw or skull to support a dental prosthesis such as a crown, bridge, denture, facial prosthesis or to act as an orthodontic anchor. Rapid Prototyping: Rapid prototyping is the idea of quickly assembling a physical part, piece or model of a product. This is often done using sophisticated computer-aided design or other assembly software, and physically implemented using 3-D printers.